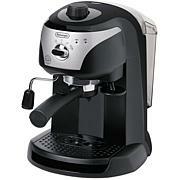 The DeLonghi BCO330T Combination Coffee, Cappuccino and Espresso Machine, in stainless steel, has a 24-hour programmable timer so you can wake up to the aroma of fresh-brewed coffee every morning. 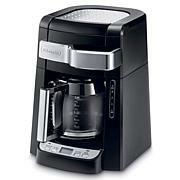 The Flavor Saver brewing system fully saturates and steeps the coffee for a full, robust flavor every time you brew. The pause 'n serve feature allows you to enjoy a cup before the full pot is brewed and the freshness indicator lets you know how long the coffee has been standing. 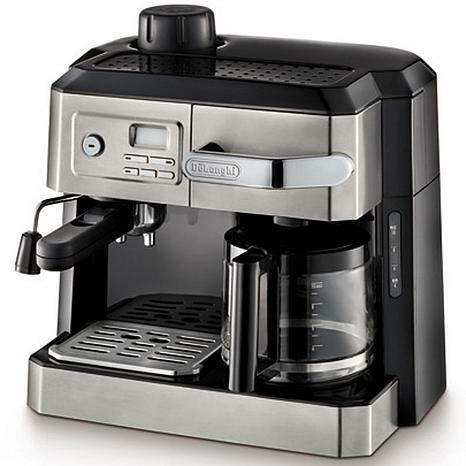 This 3-in-1 machine also lets you prepare espresso and cappuccino. Enjoy cappuccinos, lattes and hot chocolate with the "Swivel Jet" frother. 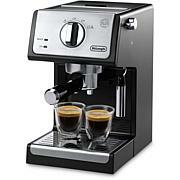 It mixes steam and milk to create a rich, creamy froth for perfect drinks every time. I love this machine, it is my new favorite morning toy. Coffee, espresso, cappuccino and lattes. 3 in 1. 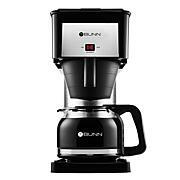 Coffee maker, silver (stainless steel) black, looks great and matches all my kitchen appliances. Makes Good coffee, espresso, caps, and lats. Read instructions a few times so u don't burn urself. And u will get better results too. Gooooood Coooooffee. Thank you. While I was working, I stopped at Starbucks daily. I am retired & purchased a Kuerig, while good no matter how many different ways I tried, my coffee was not strong enough. I love my new machine, I can make my espress/coffee as strong as I like. Easy to work.